The property is located in a quiet residential area. With a view of Council Mountain. 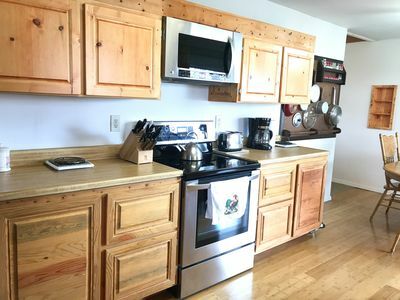 Beautiful custom kitchen cabinetry, custom wood paneling throughout. New appliances. Located close to Hunting, Fishing, Skiing and Snowmobiling. Home is on it's own private well. Large fenced yard. garden area provides Blueberries ,Grapes, Custom grafted apple and pear trees, that provided 3 varieties of pears and apples.